Visit the rubber plantation in Santarem, Brazil. See freshwater dolphins during an evening cruise of the Tapajos River. 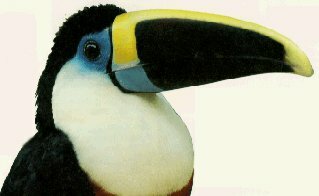 Travel picture of A colorful toucan in the Amazonian rain forest.